This chapter explores the theme of border-crossing in the new imperial and national contexts of the late nineteenth century by a study of the migrant Indian poet, Adib Pishawari. Having been born and raised in precolonial Peshawar, Adib was forced into exile as a result of his family’s involvement in an anticolonial rebellion. After travelling, and studying, across independent Afghanistan, Adib settled in the Iranian cities of Mashhad, then Tehran, where this Indian émigré made his name as one of the last living repositories of the old oral literary culture that had formerly sustained Persian learning for centuries. Yet in as much as Adib was a survivor, and transmitter, from the Persianate world of old, as a new nationalist literary culture took shape in Iran he became an increasingly marginal figure as he lived out his last years in the Iran of Riza Shah. 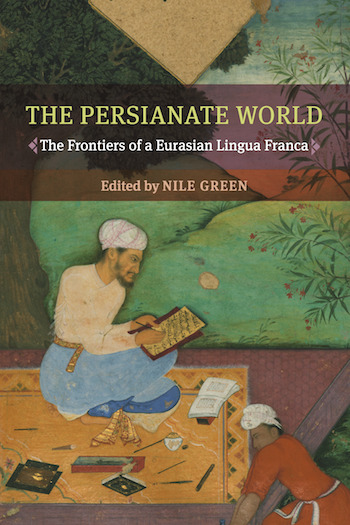 In this way, the chapter captures through a single life the travails of Persian’s retraction from a Eurasian lingua franca to a national language that by the 1930s was preserved by just three modern nation-states.